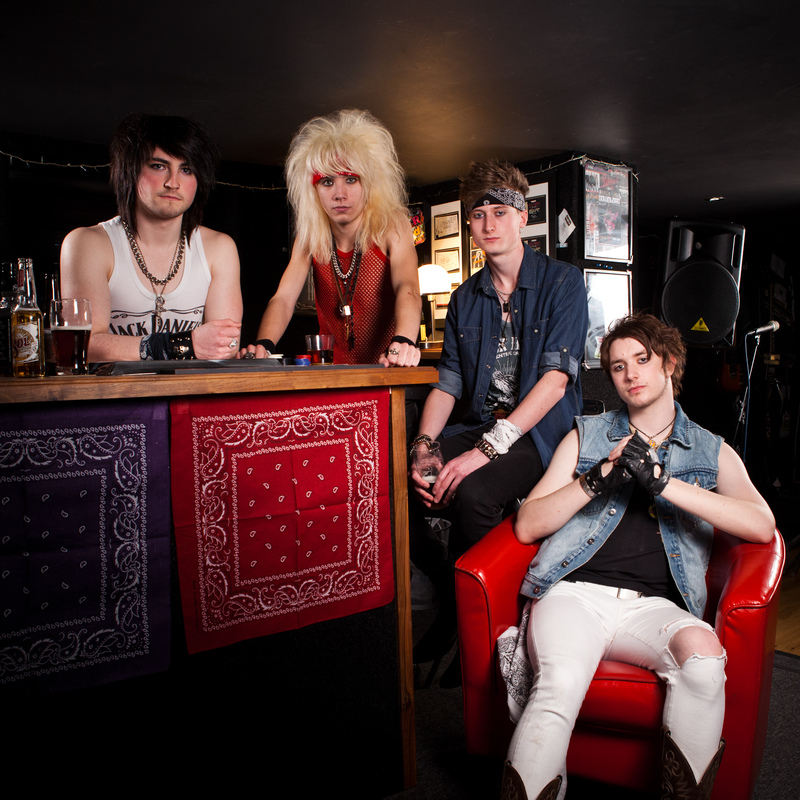 Based in Nottingham, four piece glam rock group Shattered Generation are looking to make 2014 their breakthrough year. Their new single ‘Out of Line’ could well be the track to do it, opening with an astonishing, complex guitar riff before giving way to chunky distorted chords and solid rock rhythms and vocals. This is excellent, fun rock inspired by the hits of the 80s, an environment where Shattered Generation find themselves more than comfortable and which has allowed them to play alongside Guns 2 Roses (the largest Guns’n’Roses’ tribute band) as well as with fellow up and comers The Peckham Cowboys and The Brink. Their songs have drawn plenty of attention, not least legendary producers Dito Godwin (Motley Crue, No Doubt) and Jon Moon (Pink Floyd, Bryan Adams), who have both had a hand in their new material. And with the support of these two heavyweights, their sound will likely continue to grow and mature. It’s all the more impressive considering that lead vocalist Johnny, notable for his energetic on stage performances, has a heart condition which necessitated the insertion of a pace maker last year. Now though, with that enforced break behind them, Shattered Generation are going from strength to strength – as signalled by this great new single.